Anyone who found it hard to watch the end of Ferris Bueller’s Day Off will know a Ferrari is more than just a sum of its parts. Since the first Fezza hit asphalt in 1940, the hypnotic howl of the engine has had many a bigwig reaching for the check book and parting with a small fortune. 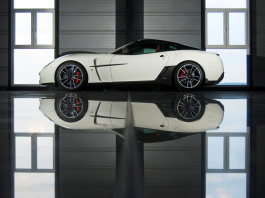 2012 saw a number of gargantuan Ferrari sales, with prices making superyachts look like small fry. Then, US-based car collector Craig McCaw bought a 1962 Ferrari 250 GTO for a reported $35m. The seller was Nyetimber vineyard owner and entrepreneur Eric Heerema, the Dutch-born business tycoon who now calls the UK home. There are two markets for the serious car collector — the auction house, where bidding is public and sale amounts are disclosed, and the private market in which the mega-rich sell each other cars and seldom reveal the sums paid. For reasons of insurance and security, collectors often favor the private market, making it tricky for motor heads like us to compile a definitive list. However, we can be fairly sure that McCaw’s 250 GTO set a price record not just for Ferraris but for classic car sales as a whole. Move over the 1936 Type 57SC Bugatti Atlantic, which California collector Peter Mullin bought in 2010 for somewhere between $32m and $34m. Ferrari began its life in 1928 in Maranello, northern Italy, when Enzo Ferrari founded a company to sponsor racing drivers. Under the name Scuderia Ferrari—translating loosely as ‘Team Ferrari’ — the company sponsored amateur drivers in Modena, who drove Alpha Romeos at that stage. Enzo Ferrari was soon hired by Alpha Romeo to lead their motor racing department. 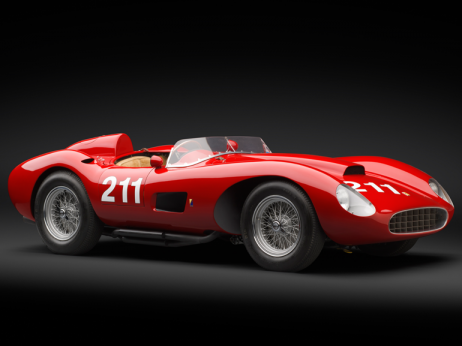 In 1940, Scuderia Ferrari produced its first race car, the Tipo 815, which debuted at the Mille Miglia. When Mussolini’s fascist government confiscated Alfa Romeo in 1941 as part of the Axis Powers’ war effort, Enzo Ferrari’s department set up independently in Maranello — where it’s remained ever since. The Allies bombed the Maranello factory in 1944 and it was only when the factory was rebuilt in 1946 that Ferrari began producing road cars. The rest is history. And why all the red? Ferrari’s signature ‘race red’ (Rosso Corsa) is the traditional color of Italian race cars. Between the World Wars, the color of race cars identified their nationality rather than the manufacturer or driver. French-entered cars like Bugatti were blue, German Benz and Mercedes white (or bare sheet metal silver after 1934), and British Lotus and BRM green. So here are the 15 most expensive Ferraris ever built that have left the biggest dents in bank accounts, and account for some of the most expensive cars in the world.